Cracking using OllyDbg. What is cracking? 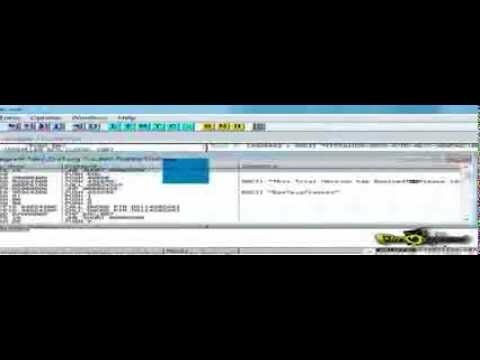 I would like to introduce you now to a more advanced and professional cracking technique, cracking using a debugger. What is a debugger? In few words, a debugger is a software that will let us look in the asm code before and after the code is executed by the cpu. The debugger will pause the the execution of the code and will allow us to trace it step... OllyDbg is a 32-bit disassembler/debugger for Microsoft Windows binary files. It is shareware and it is available here. The goal today is to provide a tour of OllyDbg and how the tool can be used in reverse engineering software or malware. 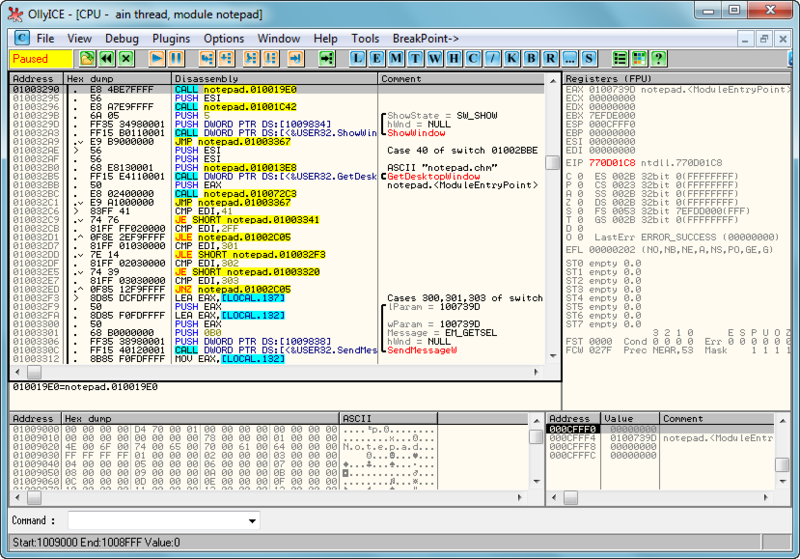 OllyDbg is a 32-bit disassembler/debugger for Microsoft Windows binary files. It is shareware and it is available here. The goal today is to provide a tour of OllyDbg and how the tool can be used in reverse engineering software or malware.... How To Crack A Software Using Ollydbg Pdf. Download How To Crack A Software Using Ollydbg Pdf. A small manual for download: Click “Download Now” image upwards. Is This Legal? Similar to the other Internet giveaway, Warez, the legality of Cracks is far from being globally defined. The most common belief stated online is that it is legal to write, upload and even download a Crack, as long as you don't use it to disable a software title's copy protection.... 4/7/2015 Convert demo software to full version-OllyDbg VERSION-OLLYDBG 45 Comments DEC Posted in Hacking Articles By VIjay Kumar 27 2014 0 Abstract The objective of writing this post is to explain how to Convert demo software to full version or crack an executable without peeping at its source code by using theOllyDbg tool. R4ndom's tuts are really great, he made pdf step by step guides with arrows and highlighting explaining every step of his analysis. His were the first tuts I ever did.